Though many businesses are moving towards electronic records, the transition period from paper to digital can be difficult to navigate. In this E-Guide, discover how asking three simple questions about organizational needs can help businesses map out an effective document management and imaging process. 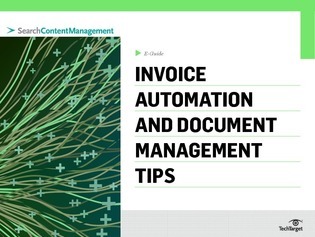 In addition, find out how Oracle and SAP procurement shops can improve their accounts payable functionality through invoice automation.